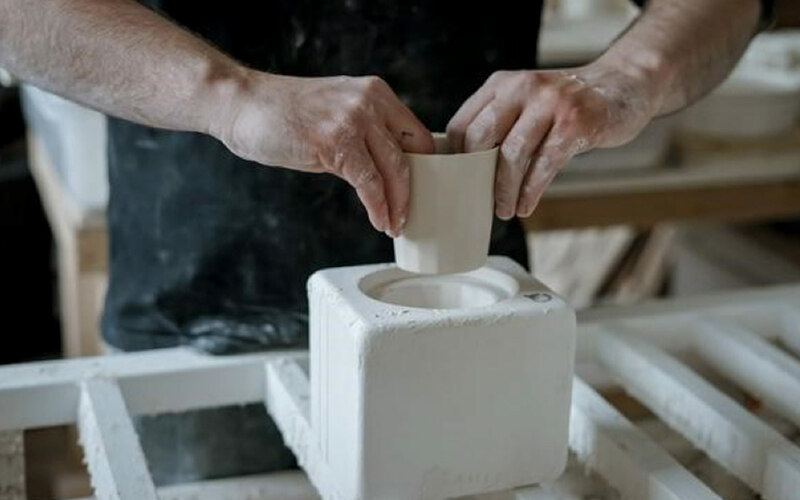 In the UK, the heart of the ceramics industry is situated in Stoke-on-Trent, Staffordshire, where factories date back centuries and are hosted by makers producing an array of stoneware, earthenware and porcelain. The use of ceramics is largely known in tableware, vases and ornaments, but ever-changing industries and development in processes has allowed for an evolving expertise in the use of ceramics in surface design within interiors and, of course, lighting. Porcelain, along with its more delicate cousin, bone china, is a particularly beautiful ceramic that is key in the creation of ambient light. 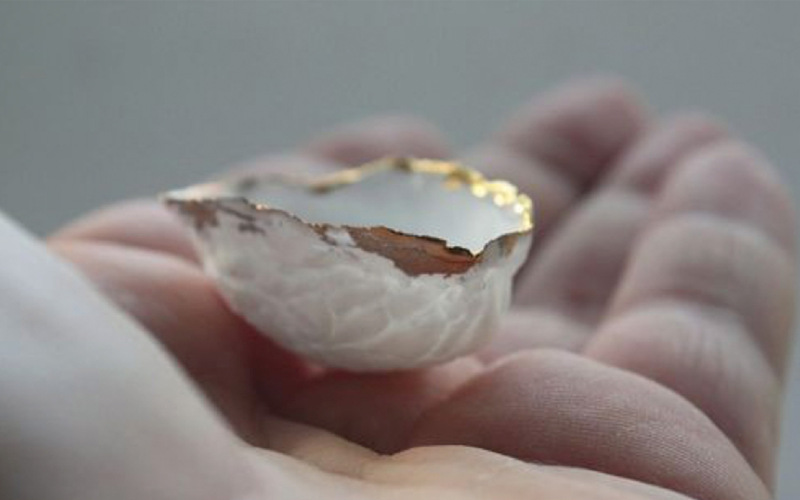 Both porcelain and bone china share beautiful qualities of crisp whiteness and slight translucency, which entices the intangible light to hit the surface. The light then scatters or “diffuses” while also being absorbed, to create a perfect gentle luminance. Through the process of “slip casting”, porcelain and bone china can provide a completely smooth and seductive finish to lighting products. A gloss glaze finish can play with glistening reflections, and a soft matt surface can add a homely glow and highlight the balance of homogeneous light. Slip casting is a fascinating, traditional technique used with liquid clay, which is poured into plaster moulds made from a “master” object (this can be 3D printed or sculpted by hand). The moulds absorb the liquid and leave a clay body “shell”, which then goes through firing in kilns at extremely high temperatures. With this technique an array of shapes, forms and textures can be created, and hints of colours can be applied with surface applications, such as decals (graphical prints), glazes and lustres. Ceramics within interiors can offer far more than, say, a lamp “shade”: they can create sculptural and artistic elements within a design. They can be used for the production of multiple components, re-visited by using the same moulds to ensure that the exact same shape is produced over and over again. Syra Gomez, a ceramic artisan, demonstrates perfectly how beautifully detailed and repetitive elements, which lightly portray natural forms, can be used for interior artwork displays. Combining this method with functional light can create large-scale, free-flowing lighting features that form focal points within a space, visually drawing the eye. Using ceramics can be as intricate and detailed or as simplistic and minimal as we choose. 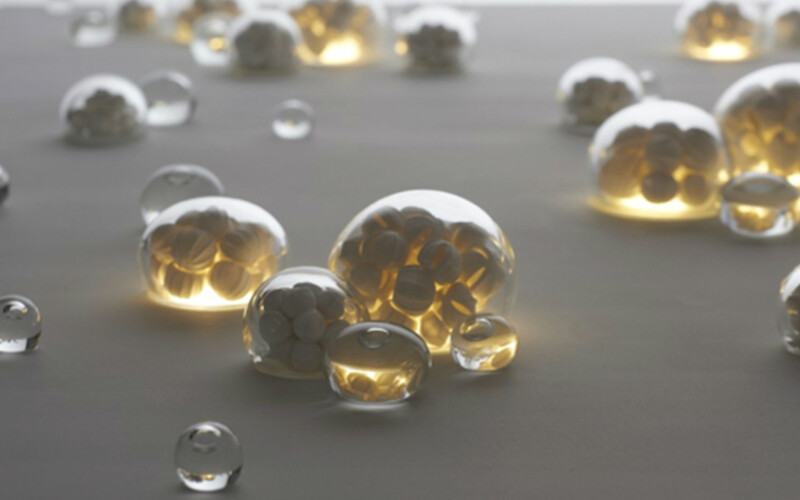 A versatile material can suit all interior design trends and styles, as long as we have the imagination to evoke a creation and its relationship with light.